Leading composer, Sir James MacMillan, is to set work by the Aberdeen-born war poet Charles Hamilton Sorley in a major new work commissioned to mark the centenary of the WWI Armistice it was announced today, 22 January 2018. An oratorio, All the Hills and Vales Along, which has been commissioned by 14-18 NOW, the work will have its World Premiere at the 5th Cumnock Tryst festival on Saturday 6 October 2018 with a further performance at The Barbican on 4 November. The World Premiere will be given by the acclaimed Edinburgh String Quartet with guest Double Bass player Nikita Naumov, the Cumnock Tryst Festival Chorus and the Dalmellington Band under the baton of Eamonn Dougan. 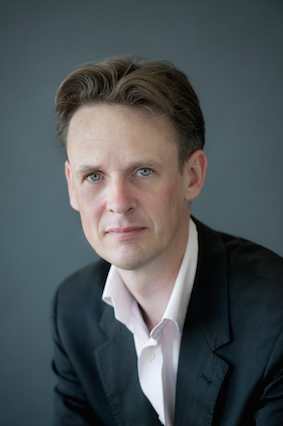 Soloist in the piece will be the world-renowned tenor Ian Bostridge. Ian Bostridge will also be soloist in the London performance on 4 November, which will be the first performance of the full orchestral version of the work. It will be given by the LSO, LSO Chorus, and National Youth Brass Band of Britain under the baton of Gianandrea Noseda. The oratorio features settings of five of Sorley’s poems including When you see millions of the mouthless dead, a work that was discovered in his kit bag after his death on the Western Front on 13 October 1915 aged only 20. Some of the poems are set for chorus and others for soloist, and the composer wrote the work with renowned British tenor, Ian Bostridge, in mind. Two of the key strands at the heart of the Cumnock Tryst Festival are choral and brass music. Sir James will bring these together in this new work. “When it became clear that the first performance of All the Hills and Vales Along would be at The Cumnock Tryst I began to imagine how I could shape it for our local musicians, including the Festival Chorus, which has been growing in stature and confidence under the guidance of Eamonn Dougan, who will return this year to conduct the World Premiere of the work,” says Sir James. “The Dalmellington Band was always top of my list, as it is one of Scotland's best ensembles of its type, and happens to be based in East Ayrshire. They have become great friends of The Tryst, having appeared a couple of times, most famously last year conducted by Martyn Brabbins in a concert which presented an incredible, brand new work by local composer Jay Capperauld,” he adds. was born in Aberdeen, Scotland. The son of a William Ritchie Sorley, a professor of moral philosophy, Charles was a precocious and academically gifted child. He attended King’s College choir school and Marlborough College, with some study in Germany. He began publishing poetry in the school journal and won a scholarship to University College, Oxford. Sorley was in Germany in 1914 when World War I broke out, and he was interned for one night in prison at Trier. Making his way back to England, he enlisted in the Army and served in the trenches in France. Sorley was killed in the Battle of Loos at the age of 20. His last poem, “When You See Millions of the Mouthless Dead” was discovered in his kitbag after his death. A collection of Sorley’s poetry was published posthumously as Marlborough and other Poems (1916) and went through six editions in the first year. Because of his time in Germany, Sorley’s attitude toward the war was deeply conflicted from its start. His small body of poetry is ambivalent, ironic, and profound. Robert Graves described Sorley as “one of the three poets of importance killed during the war,” alongside Wilfred Owen and Isaac Rosenberg. Founded by composer Sir James MacMillan in 2014, The Cumnock Tryst brings some of the world's greatest musicians into local venues, churches and halls, with the community at the heart of all of its activities. The Festival’s name, The Cumnock Tryst, was inspired by a piece of music James MacMillan wrote in the 1980s when he was still living in Ayrshire. This was a setting of William Soutar’s love poem, The Tryst. Tryst is an old Scots word which means a meeting place, or a romantic rendezvous. The town of Cumnock itself ties into this sense of coming together as its Gaelic name, comunn achadh, means place of the confluence, as the town sits where the Glaisnock River and the Lugar Water meet. For four packed days and nights The Cumnock Tryst is a meeting place for music-lovers. 14-18 NOW is a programme of extraordinary arts experiences connecting people with the First World War, as part of the UK’s official centenary commemorations. It commissions new work by leading contemporary artists from all art forms. The commemorative period is marked by three key seasons – Anniversary of the Declaration of War in 2014, the anniversaries of the Battle of Jutland and the Battle of the Somme in 2016, and the centenary of Armistice Day in 2018. 14-18 NOW is responsible for the UK tour of the iconic poppy sculptures by artist Paul Cummins and designer Tom Piper, and the 2016 commission ‘We’re here because we’re here’ by Jeremy Deller in collaboration with Rufus Norris. 14-18 NOW is supported by the National Lottery through the Heritage Lottery Fund and Arts Council England, by the Department for Digital, Culture, Media and Sport, and by additional fundraising. 14-18 NOW has commissioned over 120 artworks to date that have been seen by more than 30 million people. 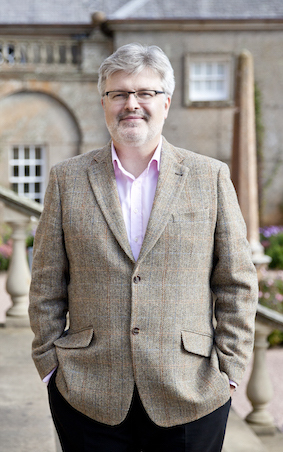 James MacMillan is the pre-eminent Scottish composer of his generation. He first attracted attention with the acclaimed BBC Proms premiere of The Confession of Isobel Gowdie (1990). His percussion concerto Veni, Veni Emmanuel (1992) has received over 500 performances worldwide by orchestras including London Symphony Orchestra, New York and Los Angeles Philharmonics and Cleveland Orchestra. Other major works include the cantata Seven Last Words from the Cross (1993), Quickening (1998) for soloists, children's choir, mixed choir and orchestra, the operas Inès de Castro (2001) and The Sacrifice (2005-06), St John Passion (2007) and St Luke Passion (2013). He was featured composer at Edinburgh Festival (1993), Southbank Centre (1997), BBC’s Barbican Composer Weekend (2005) and Grafenegg Festival (2012). His interpreters include soloists Evelyn Glennie, Colin Currie, Jean-Yves Thibaudet and Vadim Repin, conductors Leonard Slatkin, Sir Andrew Davis, Marin Alsop and Donald Runnicles, and choreographer Christopher Wheeldon. His recordings can be found on BMG/RCA Red Seal, BIS, Chandos, Naxos, Hyperion, Coro, Linn and Challenge Classics. Recent highlights include premieres of MacMillan’s A European Requiem, Stabat Mater for The Sixteen and a Trombone Concerto for Jörgen van Rijen with the Royal Concertgebouw Orchestra.